In honor of Communications Biology's first anniversary publishing content, we asked Editorial Board Member Dr. Bishoy Faltas to answer a few questions on the journal's growth and vision for the future. 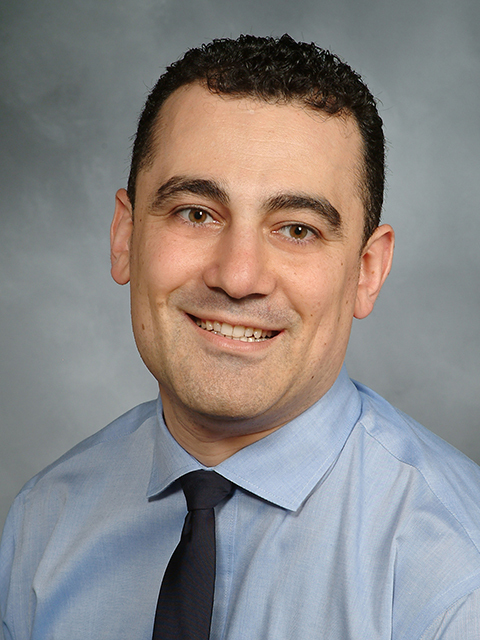 Dr. Bishoy Faltas is an Assistant Professor of Medicine, Cell and Developmental Biology and a medical oncologist at Weill-Cornell Medicine. His laboratory studies bladder cancer as a model disease for dissecting the fundamental biological mechanisms that drive the evolution of human cancers. He has a special interest in investigating the role of the APOBEC3 mutagenic enzymes in editing the genome of cancer cells. Dr. Faltas completed his Hematology and Medical Oncology Fellowship at Weill Cornell Medicine, as well as a postdoctoral fellowship in the laboratory of Dr. Mark A. Rubin. During this time, he led studies of the clonal evolution of chemotherapy-resistant bladder cancer. Dr. Faltas is the recipient of several research awards, the NIH/NCATS CTSC KL2 Scholar grant, the American Society of Clinical Oncology Conquer Cancer Foundation Young Investigator Award, the 2017 American Association for Cancer Research NextGen Star and the Department of Defense Career Development Award. Q: You work as an Assistant Professor and oncologist, run a lab at Cornell, and have recently received prestigious awards and honors in the field of cancer research. What interested you the most about joining the editorial board of a new open access journal such as Communications Biology? I find that being a part of the editorial board of Communications Biology is an excellent opportunity to learn more about science and the scientific process. I am constantly fascinated by the diversity and the scope of the research published in the journal. I do not think there are many places where you could read about bacterial resistance to antibiotics, Cicadas, atrial fibrillation, and lung cancer all in one place. Thinking about biology as a continuum is fun! It is also a great way to draw parallels and think about new connections. Q: Can you briefly explain your role as an editorial board member? My role is to work with the authors, the reviewers and the in-house editorial team to ensure that the manuscripts we receive get the best possible peer-review. In my mind, that means three things: timely, fair and responsive. I mainly handle submissions in the cancer biology field. Q: Communications Biology is celebrating its first year publishing content. What has been most exciting about working with the journal in its early stages? What have you learned or what most surprised you about the manuscripts you handle? I am very interested in understanding the makings of a great paper. The science is the main component, but it is much more than that. It is the backdrop, the message, the wording, the clarity of the thoughts and many other subtle factors that are frequently overlooked. My work with the journal has been eye-opening in this regard. It is really exciting to see how a manuscript evolves through the ‘selective pressure’ of peer-review into a mature paper. Q: The journal has launched some key initiatives advocating for early career researchers, such as their spotlight series and travel grants. What advice do you have for early career researchers who want to submit their research to the journal, particularly in the field of cancer research? I think it is essential for leading scientific journals to have a voice and to use their visibility to highlight issues such as diversity, mentor-ship, and early-career researchers. I would advise ECRs to consider submitting their best cancer research manuscripts to Communications Biology. Q: Where do you see the journal in the landscape of open access biology research, both in a broad sense and with a focus on cancer specifically? It is crucial to identify open-access journals that publish high-quality research after a rigorous peer-review process. As part of Nature Research publishing, Communications Biology fits that bill. The journal's scope is quite broad and having open access further extends the reach of the published research. This is an opportunity to reach wider swaths of readers and have more impact. Several journals including Communications Biology now accept submissions which had been released as pre-prints. The rise of pre-prints is a relatively recent development in biology compared to physics for example. It would be interesting to see how it will shape the landscape of biology research in the next few years. Q: The journal now provides transparent peer review in addition to a ‘reviewer of the month’ program that started in late 2018. What advice would you like to share with potential reviewers, particularly those in the early stages of their career? Peer-review is time-consuming and frequently an add-on to one's primary job duties. I think that it is important to find novel ways of rewarding reviewers for this voluntary work. I suggested the ‘reviewer of the month’ program as one way to do that. I am thrilled that the Chief Editor Brooke LaFlamme agreed to consider it and to see the program start in 2018. Peer-review works, but it is also imperfect. We should all continuously strive to improve it. Increasing transparency goes a long way in that direction. The only advice I would give to peer-reviewers is the golden rule "Review for others as you would have others review for you." Q: The journal is growing in subject coverage and now publishes content across cancer research, genetics, biochemistry, biophysics, and more. What additional content or developments are you anticipating going into 2019? I predict that Communications Biology will continue to expand. I envision that the journal will have an increasing footprint in cancer research in 2019. I would like to see a continuing commitment to ‘scientific social responsibility' initiatives such as promoting higher diversity of topics, reviewers, and authors and improving peer-review. Visit the Communications Biology first-anniversary collection here. Learn more at nature.com/commsbio and follow us @CommsBio.